In a massive outpatient payment rule, the CMS on Wednesday proposed expanding its site-neutral payment policy to clinic visits, a move that could save the agency hundreds of millions of dollars. Clinic visits, or checkups, are the most common service billed under the outpatient pay rule. The CMS often pays more for the same type of clinic visit in the hospital outpatient setting than in the physician office setting. If finalized, the payment change is projected to save Medicare $610 million and patients about $150 million via lower co-payments for doctor visits provided at an off-campus hospital outpatient department. Overall, outpatient departments will get $90 million or 1.25% more than they got in 2018 under the proposed rule. That's down from a $690 million increase from last year, which included some redistribution of 340B funds. The CMS estimates that it was paying approximately $75 to $85 more on average for the same service in hospital outpatient settings compared to physician offices. Beneficiaries were responsible for 20% of that increased cost. "We believe the difference in payment for these services is a significant factor in the shift in services from the physician's office to the hospital outpatient department, thus unnecessarily increasing hospital outpatient department volume and Medicare program and beneficiary expenditures," the CMS said in the rule. The CMS is also looking to expand on a site-neutral rule it finalized in 2016. That regulation pays hospital off-campus facilities less than hospital-based outpatient departments if they started billing Medicare after Nov. 2, 2015. The CMS is now proposing to limit the circumstances under which off-campus facilities that were billing Medicare before November 2015 can expand their clinical services. The Obama administration made a similar proposal, but did not finalize it after hospitals pushed back against the suggestion. 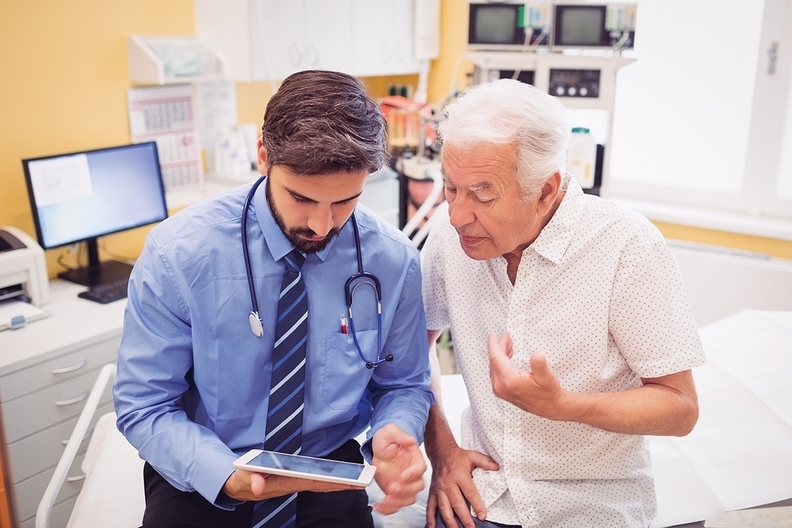 Without these restrictions, hospitals may purchase more practices and add those physicians to the grandfathered off-campus sites to draw down enhanced outpatient rates, the CMS said. The American Hospital Association said it was alarmed by the proposal. "CMS has resurrected a proposal, which it had previously deemed unwise, that would penalize hospital outpatient departments that expand the types of critical services they offer to their communities—preventing them from caring for the changing needs of their patients," Tom Nickels, executive vice president at the American Hospital Association, said in a comment. The CMS also wants to expand last year's cuts to 340B discounts given to outpatient facilities. If that proposal is finalized, the CMS estimates that Medicare and its beneficiaries would save approximately $48.5 million from the change. Last year, the agency cut 340B drug payments by $1.6 billion, or 22.5% less than the average sales price. In 2018, patients saved about $320 million on out-of-pocket payments for these drugs, as a result of the change according to the CMS. The CMS said in its notice "a few commenters raised that the 340B reduction would not apply to non-excepted off-campus PBDs (provider-based departments) and shared their view that this could result in behavioral changes that may undermine CMS' policy goals of reducing beneficiary cost-sharing liability." Specifically, the CMS is concerned that hospitals will move their drug administration services for 340B-acquired drugs to an off-campus facility to receive a higher payment amount for these drugs. "Extending reimbursement cuts for 340B drug-pricing program purchases to additional hospital outpatient clinics doubles down on a policy that drains vitally needed support from hospitals that operate with thin or negative margins," Dr. Bruce Siegel, president and CEO America's Essential Hospitals, said in a statement.